With Spring already in motion and summer just around the corner, the WHITE HOT trend is already being showed off by celebrities galore and the runways. 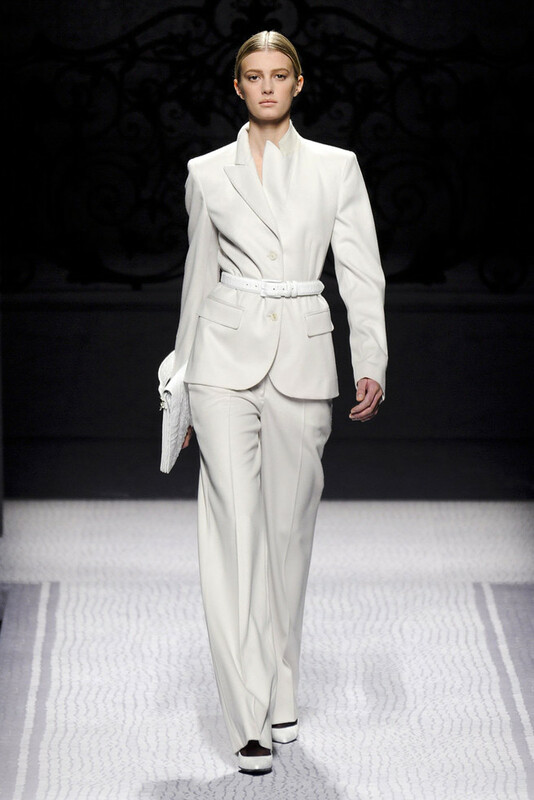 Last S/S 2012 runways, we saw the "white hot" trend abound in designers collections. 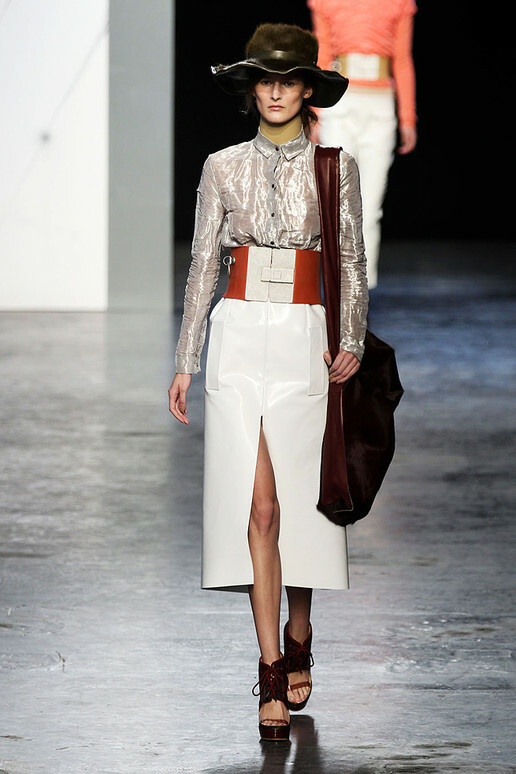 We are still seeing the trend going in through fall 2012 as seen in numerous Ready-To-Wear Fall 2012 collections, especially J. Mendel who had a plethora of models strutting their stuff in white. I love the boldness of the pure white. It's so crisp&clean, and can be paired with almost anything. A nice tailored white suit, some great white denim, a beautiful tuxedo blazer, a free-flowing dress, they all are fabulous. Keep a minimalist look or go out with a bang by adding fun accessories to play up the white. White is perfect for an occasion and the "white hot" trend look is one of the easiest day-to-night outfits you can make! Easy, fun, fresh, bold, and uber chic, what else would you want? With warmer temperatures around, who wants to wear such heavy colors. Pastels are already burning a fiery path in current fashion trends and white is the perfect addition/compliment to your wardrobe! White is comfortable, eye-appealing, and looks so effortless. I hope you enjoy this white hot trend and try it out! Below are multiple designs worn by the celebs as well as outfits seen from Fall 2012 runway shows. Enjoy! And remember, be BOLD OR GO HOME! Stay sparkly!